Rowan Garel may have been born without the ability to see, but that certainly has not stopped him from looking for adventure and staring challenges straight in the face. The brave young thirteen-year old, who just last year made history by climbing to the top of Victoria Peak is now back in the spotlight and taking on a new adventure to raise awareness for blind or visually impaired children. 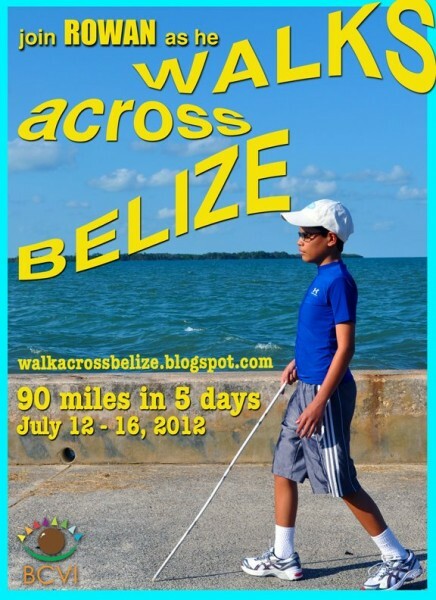 On Thursday, July 12th, Rowan and his father Joe will hit the highways to "Walk Across Belize". Together they will walk some 90 miles from the Belize border with Guatemala across the country all the way to Belize City arriving on June 16th, just in time for the 2012 BCVI Summer Camp. 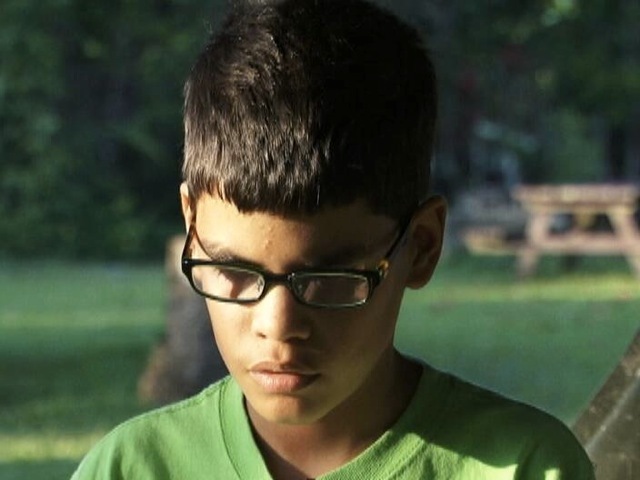 In doing so he hopes to raise double the amount he did last year to help support the BCVI in their work with children who are blind or visually impaired. "With the success of our climb at Victoria Peak last year and the local interest to join, we thought it would be perfect to 'Walk Across Belize' and be able to invite you all to join in on the adventure as we stride to help raise money to provide support for other children who are blind or visually impaired. Without your sponsorships the non-profit work that BCVI does on a daily basis will not be able to continue. Whether it's by getting sponsored to walk, or simply making a contribution, we are grateful for your support." Last year Rowan's brave journey to the top of the Victoria Peak helped raise over $50,000 to assist the BCVI in their work with children. This year, he hopes to raise as much as $100,000; since this is funding that the BCVI has lost due to a reduction in grants for 2012. Funds from Rowan's "Walk Across Belize" will go toward daily support for the children in the Rehab Program. This includes, visits to their homes and schools for one-on-one sessions in all aspects of their daily lives; from counseling parents of newly blind children to working with the teachers in their classrooms providing the necessary training and skills to work with children who are visually impaired. For more information on Rowan Garel's "Walk Across Belize" contact the Belize Council for the Visually Impaired (BCVI) by calling 636-1130 or visit Rowan's blog online at http://www.walkacrossbelize.blogspot.com/. You can also email [email protected] for more information or to sign up!